A measure intended to alter Sonoma County's guidelines for medical marijuana cultivation and possession failed to pass through the board of supervisors on Tuesday, Dec. 11. 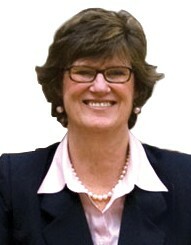 Spearheaded by Supervisors Valerie Brown (pictured) and Shirlee Zane, the agenda item would have strengthened regulation of medical marijuana growing and dispensary operations by lowering possession limits, establishing an ordinance that prohibits the use of unoccupied buildings for pot growing, and creating a marijuana task force. The task force would be modeled on an already existing methamphetamine task force set up to strengthen enforcement and education efforts. According to the agenda item summary report, the proposal was created for concern about public safety, including a supposed rise in violent crime associated with marijuana, and environmental reasons. Loud critiques of the measure and the hearing arose from diverse sources, including medical marijuana advocates like Sebastopol vice mayor Robert Jacobs, as well as Supervisor Efren Carrillo, who said that he was "livid" at the lack of public engagement (medical marijuana advocates did not learn of the proposal until just before the hearing). As reported in the Bohemian last May, there has been a drastic increase in prosecutions against local medical marijuana growers, most notably since 2010. These prosecutions have clogged an already overwhelmed public defender's office, an issue that has not yet been resolved. According to the Press Democrat, one definitive outcome of the failed proposal is an agreement to establish a group of patients, law enforcement members and others with an investment in the issue of medical marijuana who would help the county shape and develop its medical marijuana policies.